The Henry Milker: Goat Milk For Zebras? This family is using goat milk to nourish their zebra and baby pet skunks. 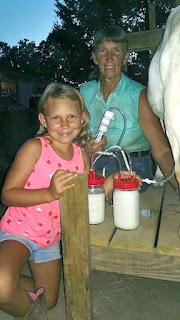 "We are in love with the ease of our Henry Milker 2! We have added a baby zebra to our daily routine & she is being raised on our goat's milk along with our baby skunks!" How to make Goat Cheese?